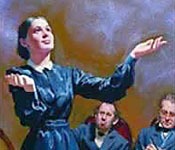 We're excited about this multi-language database of the writings of Ellen White. It includes both published and heretofore unpublished writings. The database also includes interesting materials from a number of other writers. Please upgrade your browser to a current version to use this search. You may also go m.egwwritings.org, text.egwwritings.org, or egwwritings.org if you would like to search Ellen White's writings in a separate browser tab or window.